I've gone Hollywood y'all!! I'm KIDDING!!! If you've been following my story on Social Media, I watched the documentary WHAT THE HEALTH on the 4th of July (after eating my weight in bacon wrapped hot dogs...Keepin' it all the way real. And needless to say it changed my life. So here I am more than 60 days later living that plant based life. I feel better, I have more energy and my skin is clear as can be. I know it's not for everyone, but it's working for me! I can't say enough amazing this about BEYOND MEAT PRODUCTS I eat them every week and the Feisty Crumble in the frozen section, makes the best tacos and nachos ever!!! 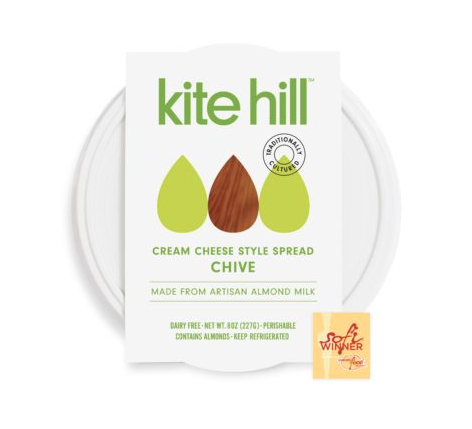 I have a small obsession with Chive Cream Cheese, and I'm very picky about fake cheeses in general, Kite Hill Products get it SO right and their Yogurts and Ricotta are amazing too! Gardein Beefless ground is SO GOOD! I use it all the time from lasagna to chili and everything in between it's so darn good!!! I have a real problem with tortilla chips, I swear they should be a food group on their own. Siete Foods is my new favorite and their grain free! Your welcome and I'm sorry because you will now be obsessed. Orgain Protein Powder is Dairy free, with 21 grams of plant based protein and it tastes amazing. Also Costco and Amazon carry it so it's easy to get. I'm a fan of the vanilla, but the chocolate is delicious too!